Brainwashed - Takuji Naka/Tim Olive, "The New Attractive"
Takuji Naka/Tim Olive, "The New Attractive"
In his liner notes for The New Attractive, Yu Wakao writes, “In a sense, there is no need for individuality in noise music—ultimately, noise can only be hindered by the individual.” Taste, he concludes, is far more important. It’s what separates this noise from that noise, the sound of traffic outside your car window from whatever is on the stereo. It’s a provocative claim because Takuji Naka and Tim Olive’s music on The New Attractive both affirms and refutes it, and because the distinction between taste and individuality is ambiguous. How are we to separate the two? Which one determines the instrument that the artist brings to their art? Which influences their preference for color, duration, and texture? What about volume? Naka and Olive certainly seem present in their work—the use of magnetic pickups and mechanical turbulence is familiar enough, as are the congealed puffs of electronic haze. The brevity of these five untitled tracks, their loose atmospheric structures, and the quiet, almost casual quality of the duo’s interactions all sound deliberate, the product of individuals with distinct tastes. Those qualities rise up and disperse across a wider plateau, however, propelling the music and musicians toward a nebulous border where specifics fall apart. 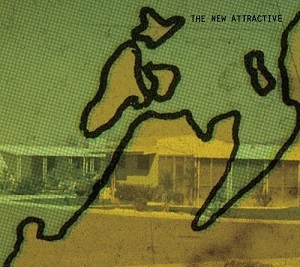 Recorded near Kyoto, Japan in 2013, The New Attractive is named for pamphlet written by Robert Norman, a 16th-century English navigator who discovered and described magnetic dip using a compass that moved vertically rather than horizontally. Besides being an effect airplane pilots watch for when navigating by compass, it’s an obscure nod to the technology that makes this music possible: namely magnetic tape and electricity. Some semblance of both appears in the music, whether it’s through the warped signal of manipulated tape, the metallic clang of spring reverb, or the even rise and fall of synthesized tones. Whatever Naka and Olive do with their equipment, the rawness of the noise and the fragility of the field recordings that briefly flicker in and out of it serve to emphasize the medium itself, and that includes the electromagnet as much as the ferric-oxide. Only in the case of Naka and Olive improvisation and anonymity co-mingle. Their names are scrawled across the album art and liner notes, yet they are practically invisible, or may as well be referred to as a unit, identifiable by inference because of the preferences they bring to the field. Large sections of The New Attractive are aeriform, dispersed to the point that the co-existence of their parts feels like an accident. 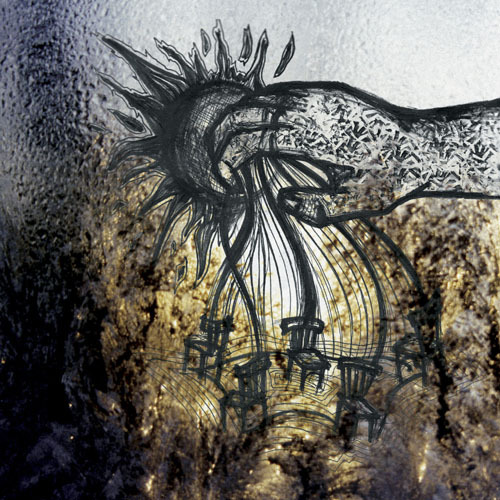 Some might call it ambient music and choose to focus on the way the different elements harmonize, and that’s a legitimate way of listening to this music. Naka and Olive mine the pleasures of synchronicity by allowing their materials to speak for themselves. But it’s perfectly natural to wonder what else is at play on an album like this one. Are the artists speaking through the music? Or is something being channelled through the artists, either despite them or because of their willingness? If it is as Yu Wakao argues, the artists are giving us a glimpse of a much bigger picture, not because they’re creating sounds, but because they’re carefully, sometimes passionately, selecting them.